Carrier bag charges begin in England on 5th October 2015 as part of the policy to reduce waste. 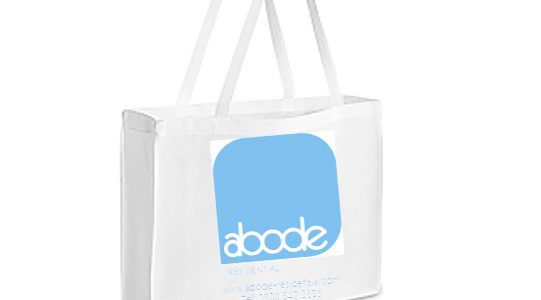 Abode Residential provide a FREE reusable bag for anyone moving in to one of our properties to rent. Included with this fantastic reusable bag we also provide other goodies, including an umbrella, toilet tissue, water bottle, key-ring, tea/coffee/sugar & many more! *subject to availability.